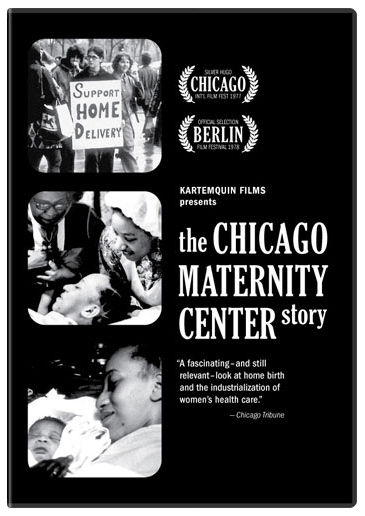 Some great reviews have come in for the newly restored The Chicago Maternity Center Story in advance of tomorrow's 45th anniversary screening (with Kartemquin's Women's Voices: The Gender Gap). Check out the recommendations below, and read a blog on the Siskel Center website from Gordon Quinn, Suzanne Davenport and Jenny Rohrer, members of the original Kartemquin filmmaking collective that was born with the film. With Sharene Miller - seen giving birth to her son in the film - and the original collective filmmakers all attending along with current members of the home birth movement, tomorrow's screening will be an unmissable launch event to our 45th anniversary celebrations. DVDs will be available for sale and a discussion and reception will follow the screening. We look forward to seeing you there!